Horacio is a member of the faculty of Lawrence University and the Music Institute of Chicago. His long and passionate involvement with cello teaching started at Venezuelan El Sistema, and his activities as a teacher have included holding faculty positions at the University of Michiganʼs String Preparatory Academy, the Universidad de Los Andes (Venezuela) and El Sistemaʼs Latin American Cello Academy (Venezuela). 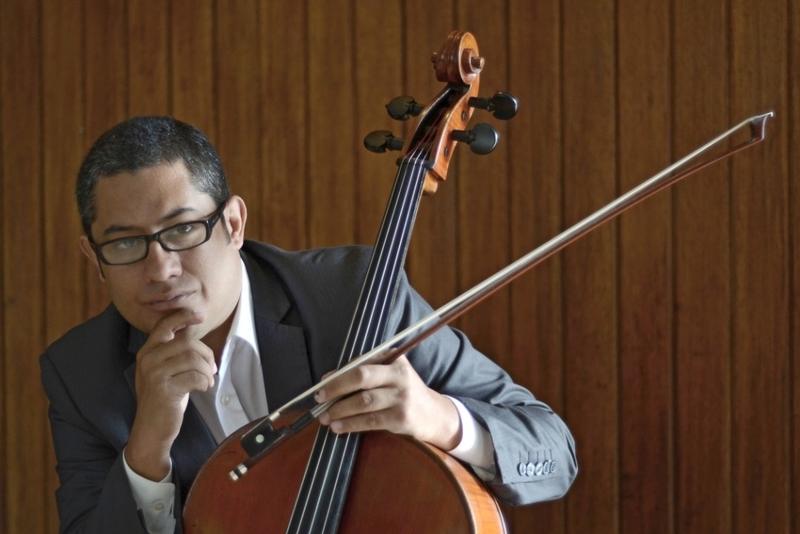 He has presented master classes at Juilliard, Michigan, Oberlin, El Sistemaʼs Latin-American Cello Academy (Venezuela), and the Universidad Nacional de Colombia. His artist faculty appointments have included Center Stage Strings (University of Michigan), Encore Chamber Orchestra (University of Cincinnati), Festival InternacioUNAL de Violoncello (Colombia), Festival del Nuevo Mundo (Venezuela), and Conservatorio Andino Itinerante (Ecuador). As a chamber musician and recitalist Contreras has performed at festivals and on concert series in the United States, France, Venezuela, Argentina, Colombia, Costa Rica and the Caribbean islands. His chamber music collaborations have included performances with musicians from the Chamber Music Society of Lincoln Center and faculty members of leading conservatoires and schools of music such as Geneva, Lausanne, Oberlin, and the University of Michigan. His active interest in new music has resulted in collaborations with relevant composers including Bright Sheng, Steven Mackey, Derek Bermel, Paul Desenne and Ricardo Lorenz. As a member of the new music group Khemia Ensemble he has been in residency at Michigan, Tufts, the Avaloch Farm Music Institute, Universidad Nacional de Cordoba (Argentina) and Universidad Nacional de Colombia. Horacio began his studies through El Sistema in Venezuela. He graduated from Perpignan Conservatoire (France) and Escola de Musica de Barcelona (Spain) and earned both his masterʼs and doctoral degrees from the University of Michigan.